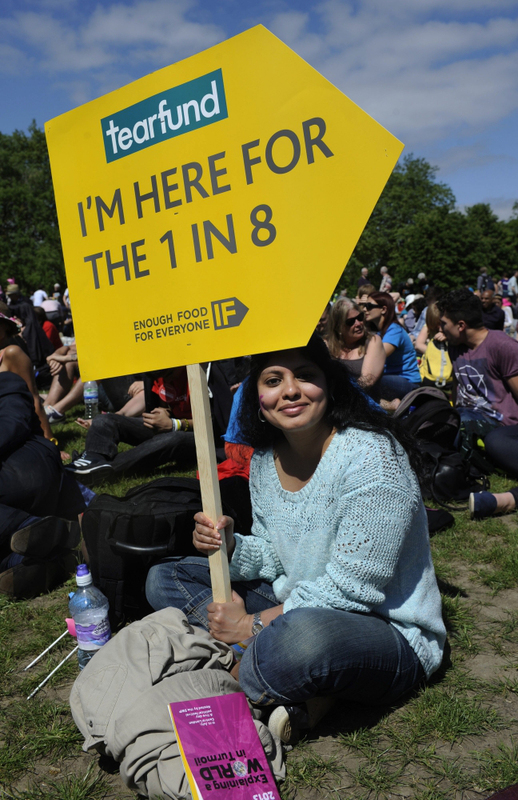 About 45,000 people hit Hyde Park yesterday for the Big IF Rally, that urged action on global hunger from G8 leaders when they meet on 17-18 June. A colourful installation of thousands of plastic flowers, the petals of which represented the millions of children who die each year as a result of malnutrition, was the focal point of the rally. The flowers were made and laid by thousands of people who had travelled to Hyde Park from around Britain for the rally. Organised by the Enough Food for Everyone IF coalition of NGOs, the initiative is the first major joined-up campaign since Make Poverty History in 2005, the last time the UK held the G8 presidency. The IF coalition, which includes Save the Children, Oxfam, Unicef and Christian Aid, is calling on the G8 group of industrialised countries, which meets in Northern Ireland on 17 and 18 June, to increase funding to tackle malnutrition and stunted growth. The coalition also wants the G8 to make greater efforts to give people in poorer countries control over their land, both by ensuring transparency and greater accountability over land deals and by closing loopholes that allow companies to dodge paying tax. Figures published by The Lancet on Thursday showed malnutrition to be the root cause of death for 3.1 million children, accounting for about 45% of deaths among children under five years of age. The growth of a further 165 million children was stunted as a result of poor diets. Previous estimates had put the figure at 2.3 million. Celebrity speakers included the Oscar-winning director Danny Boyle, Microsoft chairman and philanthropist Bill Gates, singer Angélique Kidjo and actor David Harewood. 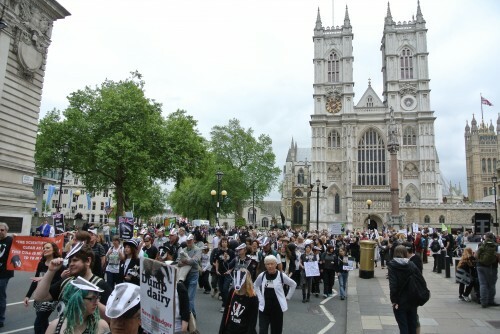 About 2,000 people held a rally in London yesterday as licences to cull badgers came into force in two areas. 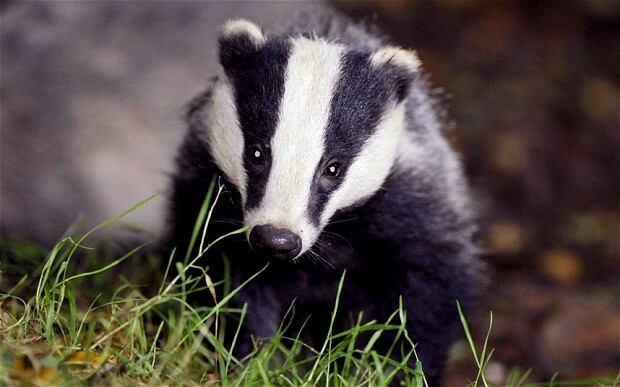 Up to 5,094 badgers can now be culled in west Somerset and west Gloucestershire. Groups of farmers in the two pilot zones have been given licences to conduct culls using trained marksmen to shoot the animals. The rally was led by ex-Queen guitarist, Brian May, who delivered a near-250,000 signature petition to Downing Street calling for the cull to be scrapped. He said: “The great bit of new information is it has now been demonstrated that the cull cannot make economic sense. It will lose the taxpayer money rather than save it. A quick update on the Bee Cause campaign. A total of 125 MPs showed their support for halting bee decline by posing with a giant cuddly bee and sign saying ‘Britain needs its bees’ at the House of Commons on Tuesday. 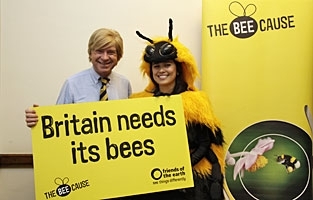 Conservative, Labour, Liberal Democrat, Green, Plaid Cymru and Scottish National Party politicians all backed the Friends of the Earth campaign, including the Tory MP for Lichfield, Michael Fabricant (below). 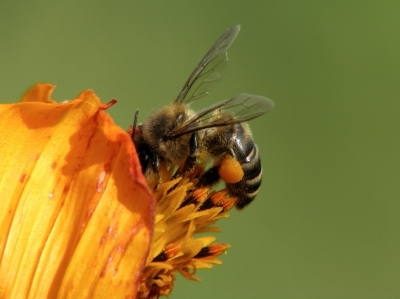 They learnt that the amount of honey produced by UK bees fell by 72% in 2012 compared with the previous year. The campaign is calling for a National Bee Action Plan to tackle the major threats facing British bees and you can give your support by signing an online petition. Deborah Meaden, one of the judges on TV’s Dragon’s Den, has attacked the “failure” of Chancellor, George Osborne, to promote green energy and businesses, as she led hundreds in a protest outside the Treasury. The protest, organised by Stop Climate Chaos on 18 October, saw campaigners from business, environment, trade union, faith and women’s groups, don free hard-hats to promote their message that “green is working”. Protesters call on George Osborne to recognise green economy’s potential | Environment | guardian.co.uk. 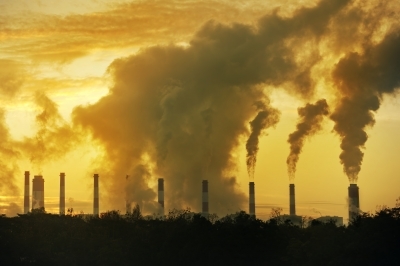 More than 50 businesses, including household names such as Asda, Sky and PepsiCo, have called on the Government to put in place a 2030 target on decarbonising the power sector. They argue that such a move – already backed by Labour and the Lib Dems – will stimulate investment and revitalise the UK’s ageing energy infrastructure. Firms call on Tories to back 2030 carbon target for power sector | Environment | The Guardian. This passionate blog about the environmental threats of a third Heathrow runway caught my eye yesterday. Tim Yeo, who is a former environment minister, used to be opposed to the expansion of Heathrow, but now says the environmental objections to it are disappearing. HOW APT that on the day that Tim Yeo campaigns for a third Heathrow runway, American scientists revealed that the Arctic ice has shrunk to its smallest size ever.